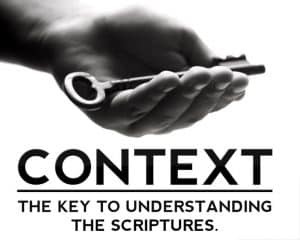 Context and understanding through a first-century perspective provides the avid student of scripture a much greater clarity as opposed to a Greek-view that is two-thousand years and a couple of languages removed. As a result we find it therefore commonly taught today in mainstream Christian doctrine that the Torah or simply ‘instructions’ in Hebrew or Nomos in the Writings of Paul in the New Testament, have all been apparently fully abandoned, nullified, abolished or reduced in varying degrees and apparently even taught against by the early followers of our Messiah. The foundational texts of the Torah, or instructions were the checks and balances whereby the Bereans in the Book of Acts came to test and scrutinised all of Paul’s teachings and writings on the Messiah of Israel. Would this now mean the Biblical dietary instructions that are for our own positive well-being and good are now abolished and all food/meat is now clean as many ministries teach? Has the command to rest on a specific day now been transferred to a Sabbath Sunday? Has Babylonian, Hellenistic and ancient sun-god, occultic holidays and practices replaced the appointed feasts (moedim) as instituted by YHVH in the Torah and observed by Yeshua, Paul and the disciples? Many of us may ask, do any of these things matter anymore? Should they even apply to our lives? Should we even have to care, since we are all now under the dispensationalist age of grace. And, anyway, all of this has passed away and been abolished at Calvary and does not apply anymore – as some so mistakenly claim. If you’ve been anxious for “something more,” be prepared to discover answers that will reshape your understanding and perspective and shed a renewed light on the evidence that proves the Bible’s veracity through a clearer awareness of the context, language, idioms, culture, history, and religious-political backdrop of that era. (From G4134; pleroo, to make replete, that is, (literally) to cram (a net), level up (a hollow). For verily I say unto you, Till heaven and earth pass, one jot (yod = the smallest letter in the Hebrew alpha- bet) or one tittle (taggim = the decorative crown on certain Hebrew letters) shall in no wise pass from the law (the Torah), till all be fulfilled.